Operator Stress – Electric height adjustable workstations raise and lower at the touch of a button, a distinct advantage over the effort needed to turn the crank of a basic version. With the load on the table being felt at the crank, this means the heavier the load, the more effort needed to turn the crank. Even a lightly loaded workstation can require up to 60 pounds of force per turn. Operator Safety & Contamination – Electric height adjustable workstations require no messy fluid associated with Hydraulic crank workstations. Hydraulic lines are susceptible to collapse causing the fluid to spray onto the workstation, operator or floor creating safety hazards. Due to the fluid release, hydraulic crank tables are undesirable in cleanroom environments. Wasted Time – For convenience and safety, manual hand cranks are usually stored out of the way when not in use. The operator often has to extract the crank before making the necessary turns to adjust the workstation height. Electric height adjustable workstations controls are conveniently located and allow operator to adjust the unit at a rate of 1/2 inch per second. Unreliable – Electric height adjustable workstations provide 99.5% reliability rating, while manual and hydraulic crank tables are less dependable resulting in unnecessary operator down time and lost productivity. Maintenance Expense – Unlike electric height adjustable workstations, crank tables require routine maintenance. Repairs can take a hydraulic table out of service to rebuild cylinders and drain fluids. Mechanical designs utilize non-precision jacks that require regular upkeep. 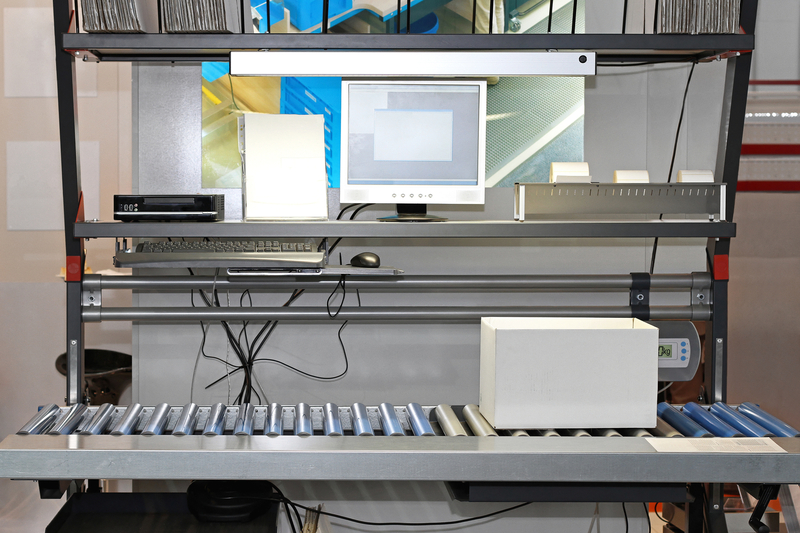 Electric height adjustable workstations have sealed actuators that require no maintenance. Controlling heights by crank is fine, but there are significant reasons to add electric controls that let your users control the height of their work surface easier and faster.